Stay in search for the Northern Lights. Kakslauttanen Arctic Resort is located high above the Arctic Circle in Northern Finland. 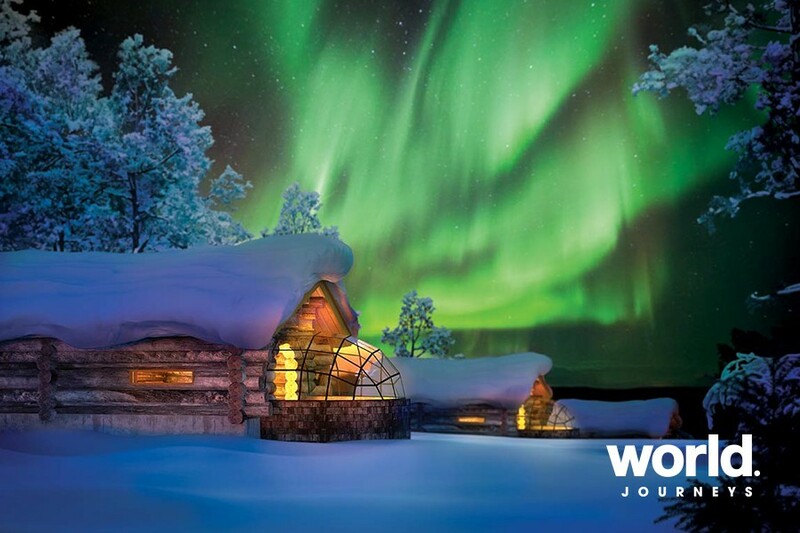 Surrounded by stunning scenery, you will stay in your private log cabin with its own sauna and fireplace, enjoy winter activities and have the chance to see the Northern Lights. This is a rustic wilderness experience in the remote forests of northern Finland, away from the hustle and bustle of everyday life. 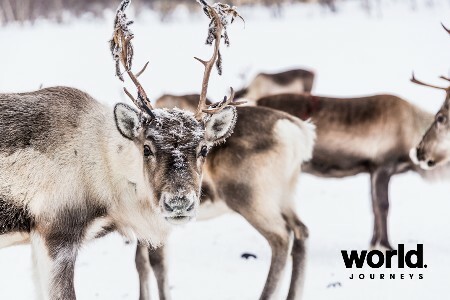 During your stay, you will go on a husky safari, visit a reindeer farm, go cross-country skiing and experience a magical winter evening on a snowmobile. 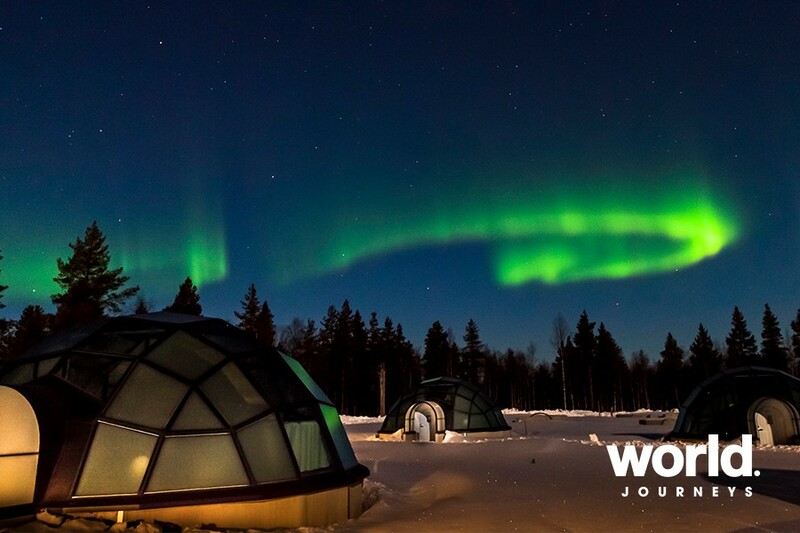 One of the highlights of this trip is a night under the Northern Lights in a glass igloo. Day 1: Arrive Kakslauttanen Fly to Ivalo airport, located about 250km north of the Arctic Circle. Upon arrival, transfer to Hotel Kakslauttanen. 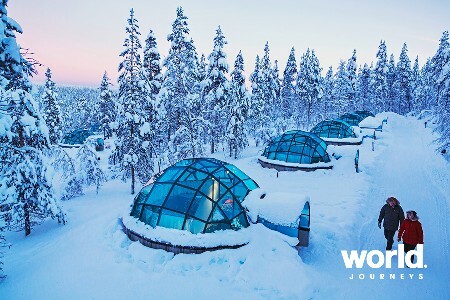 Check in to your Glass Igloo where you will be spending the first night of the tour. Have dinner at the hotel before getting ready for your night in under the stars, and hopefully the Northern Lights! The Glass Igloo provides a one of a kind opportunity to admire the Northern Lights and millions of stars in the crystal clear sky while enjoying a comfortable room temperature. Built from a special thermal glass, the temperature inside the igloo always stays at a normal level. This also prevents the glass from not frosting over, so your view stays clear even when the temperature outside drops to under -30ÂºC. Standard igloos are equipped with a toilet, but no shower. There is an upgrade option to a large igloo with a shower. Day 2: Reindeer Safari After breakfast at the hotel, head out on a reindeer safari. 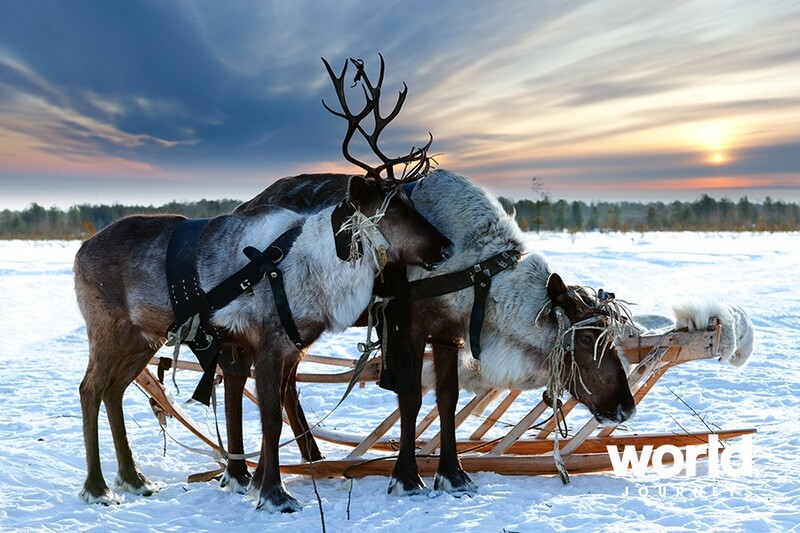 Today we will visit a traditional Sami Village and enjoy a reindeer sleigh ride. In the afternoon, check in to your private log cabin. Each of these traditional rustic wilderness cabins is equipped with a fireplace, shower/toilet, kitchenette and your own sauna. The cabins are located far enough apart so that each one has its own peaceful outdoor area. Dinner at the hotel tonight. Day 3: Nordic Skiing and Snowmobile Safari After breakfast at the hotel, meet your instructor for a short lesson in Nordic Skiing. You will have the ski equipment for 24 hours so you can practice these new skills throughout the day. If you prefer something else, you can choose other optional activities such as horse riding or ice fishing and pay the difference. 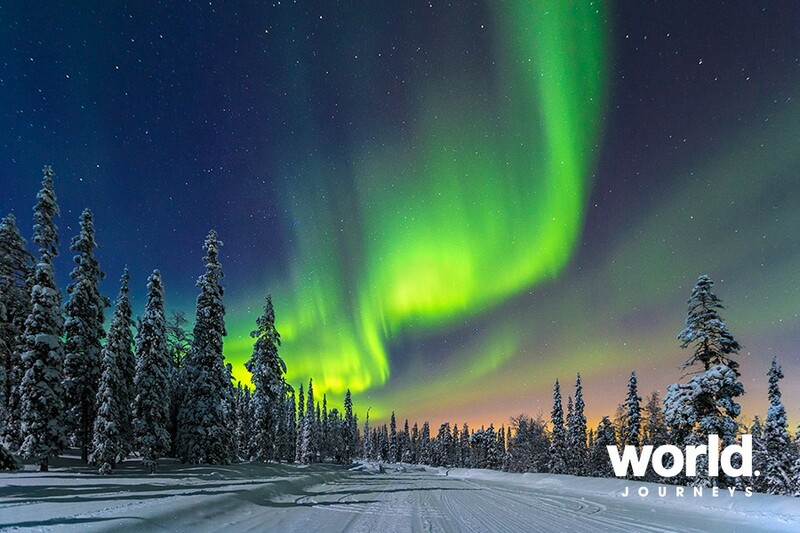 After dinner you will venture out on snowmobiles in search of the Northern Lights. Come and experience an exotic Arctic evening by driving through snow-covered forests and over treeless fells. With a little luck, if the sky is clear, the moon, stars and even the Northern Lights may show you the way. Hot drinks will be served during the trip. Day 4: Husky Safari After breakfast, get ready for today's husky safari - an unforgettable journey through breathtaking winter scenery. On arrival at the husky farm, we will provide you with a warm outer thermal suit, gloves and hat, and we will present you with your own husky team. You will be given a lesson on how to drive the sledge and how to observe important hand signals given by your leader. 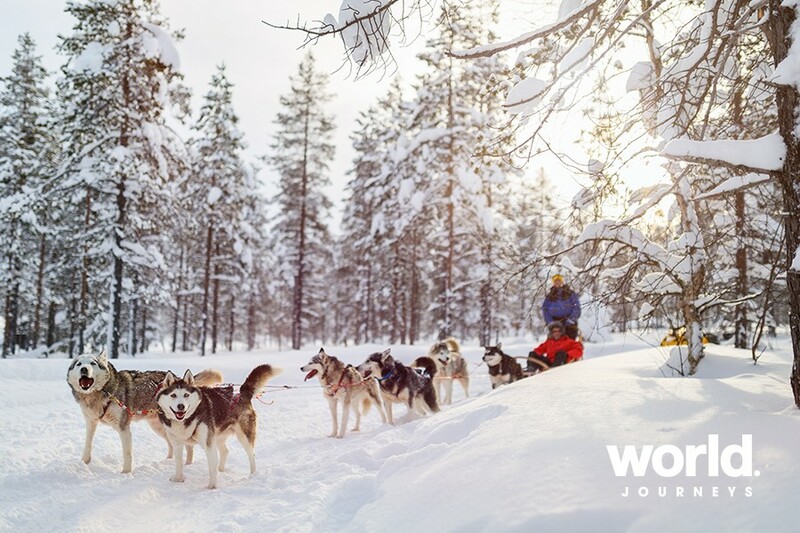 Each team consists of about six dogs, you, the driver, and your passenger - who is comfortably seated in the wooden sledge. The driver and the passenger can change places during the safari. Dinner at the hotel, after which you can join one of the optional Northern Lights safaris, ask us for options if you are interested. Day 5: Depart to Ivalo Airport After breakfast, transfer to Ivalo Airport for your ongoing flights. Flights, meals other than specified, items of a personal nature, beverages, additional activities (i.e. 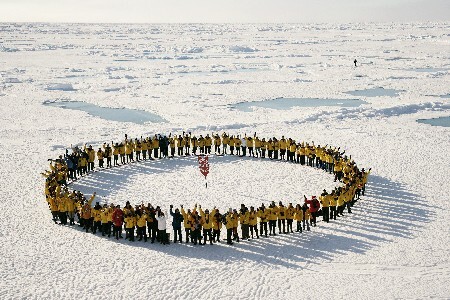 ice fishing, horse riding, winter carting, overnight safaris and Santa's resort visit).